What Is an External Hard Drive Enclosure? External Hard Drive Enclosures are used to make an internal hard drive external by enclosing it in a case. Hard drive enclosures can provide many benefits; one such benefit is giving traditional internal hard drives portability. It is easy to transfer data to an external hard drive on most computers and operating systems. Using an external hard drive will also reduce the probability of data loss or data corruption. In addition, data can be backed up and archived on an external hard drive so that it doesn’t take up any additional space on your primary hard drive. What Are the Benefits of External Hard Drive Enclosure? Protecting sensitive data when virus attacks computers. What Are the Types of External Hard Drive Enclosures? Materials – External hard drive enclosures are constructed from a variety of materials. These materials include plastic, metal, aluminum, or even a combination of the three. Connection Type – Most external hard drives connect to your computer through USB (Universal Serial Bus) 2.0 and USB 1.1, or FireWire. Your choice will probably be predetermined by the type of ports you have available and the type of system (Microsoft Windows or Apple Macintosh) you’re running. However, if you have both types of ports, you’ll need to decide which type of connectivity to use. While the theoretical bandwidth for USB 2.0 is higher than that of FireWire 1394a, actual transfer speed is comparable. Some new Mac Pro computers include the slightly faster FireWire 800 interface, and a few external hard drives have this connector. 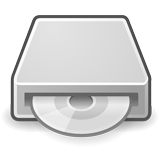 Interface – When you are purchasing an internal hard drive, they come in two interfaces: IDE and SATA. Of the two interfaces, SATA hard drives are much more common now than IDE based hard drives. This is because SATA based hard drives usually offer greater performance in terms of offering large memory cache, RPMs (Rotations Per Minute), and overall transfer rates. SATA based internal hard drives can use SATA hard drive enclosures. In additional to offering USB and FireWire connection types, SATA has also been added to the list. Size – It means the physical size rather than capacity of the hard drive, so it depends on what kind of internal hard drive you use. There are two available sizes: 3.5 inch hard drives which are used in desktop computers and 2.5 inch hard drives which are used in notebooks. The former is bigger, faster, and cheaper; but the latter is necessary for those upgrading their lap tops. Number of Bays – Single and dual bay enclosures are available. The dual layer enclosure can take two internal hard drives as opposed to one. This is a very useful feature for power computer users that require a large amount of portable hard drive space. However, for most users it isn’t necessary as you can easily purchase another external hard drive enclosure if most space is needed in the future. How Do You Use an External Hard Drive Enclosure? First off, determine what kind of external hard drive enclosure you are looking for based on what connections types are available to you. 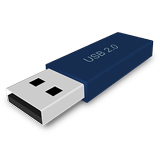 USB would be your safest bet as the USB interface is offered by most computer now produced. Other options include going with Fireware or even using a SATA external hard drive enclosure. Once you have determined which interface you are going with, proceed to the next step. Open the enclosure and place the internal hard drive inside. Connect all the necessary cables, such as connecting the hard drive enclosure to the hard drive, the power cable for the enclosure, and finally connecting the enclosure to your computer. That’s it! External hard drive enclosures transform internal hard drives into a plug-and–play device. You can use it anytime while system is running and it will become a removable storage drive.